If your team is shipping, hitting their numbers, or otherwise executing as needed for the business, your work is done as a manager, right? 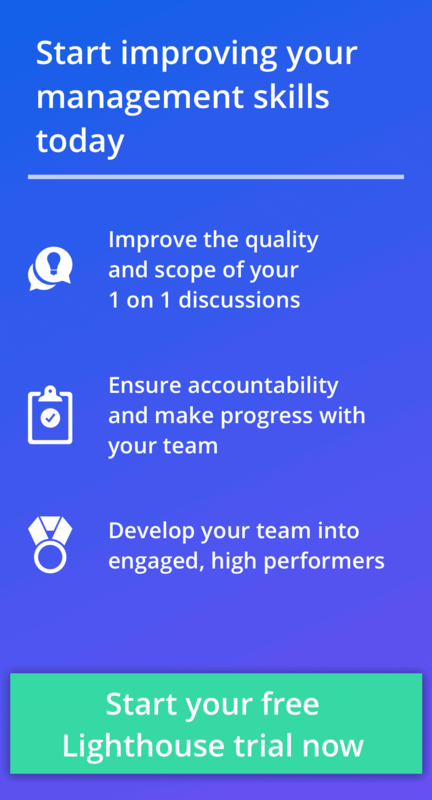 If you want to retain your team over the long term and take advantage of motivators that last, then there’s more to the job of leading your team. One of the most underrated, and foundational parts of management is taking the time to build rapport and trust with each person on your team. When you build rapport, it helps you in a myriad of ways with your team. Today we look at 7 of them. From data and research, to anecdotes and lessons from experienced leaders, there are a wide variety of benefits to taking the time to build relationships with your team. They go well beyond the touchy-feely and deep into core, important areas for being an effective leader and manager. Reason #1: They’ll be more engaged. One of the most quoted statistics you’ll find in the HR industry today is how low engagement is in the workforce. Approximately 30% of all American workers and 35% of all managers are engaged. Those are disappointingly low percentages. If you look around your office, that means less than 1 in every 3 people are truly happy and motivated on their job. As you can see from Gallup’s data, if your people “Strongly Disagree” about being able to come to you, there’s almost no chance they’re engaged at work. The only way someone will feel comfortable coming to their manager with any issues is if there is rapport and trust in their relationship. You wouldn’t talk to a stranger about your problems. A standoffish manager that only asks for status updates might as well be a stranger when it comes to asking questions and bringing up nonwork issues that affect their work. Reason #2: It helps motivate your people. The old agreement that a company will employ you for your whole career and you’ll stay the whole time is a fallacy long gone; after seeing layoffs become commonplace, and especially for Millennials entering the workforce during the Great Recession, it’s hard to believe you’ll be at any company for long. Combined with how easy technology makes it to look for another job, the stakes on whether any employee is happy are much higher. Fortunately, along with these changes, we’ve learned more about what motivates employees in the modern workforce. Dan Pink has shared a new framework in a great TED talk (and book, “Drive”) on 3 key tactics: Autonomy, Mastery, and Purpose. Relatedness is the fourth element that is absent from Drive…Relatedness is very touchy-feely. It’s hard to quantify. It requires interpersonal engagement. […] As a leader, you will lead people who want Relatedness in their job. They want you to know about their family, their hobbies. They want to chat with you about their weekend, their trips away. They want to get lunch sometimes. The nice thing about Relatedness is that it is the easiest thing to provide. You don’t have to have management buy-in to ask people about their weekends. You don’t have to go through contortions to find business cases for sharing an occasional meal or coffee. And you may find that once you start caring about people, you feel a bit happier yourself at work. Reason #3: They’ll be more receptive to your feedback. Feedback is a simple, and powerful way to motivate employees. However, the best feedback in the world won’t help if they’re not willing to listen to what you have to say. That’s where taking the time to build rapport matters. In a post on the First Round Capital blog, Kim Scott, former faculty at Apple University and advisor to Valley startups like Dropbox, Shyp, and Twitter, shares the value of radical candor. And it’s not just hot Silicon Valley companies. 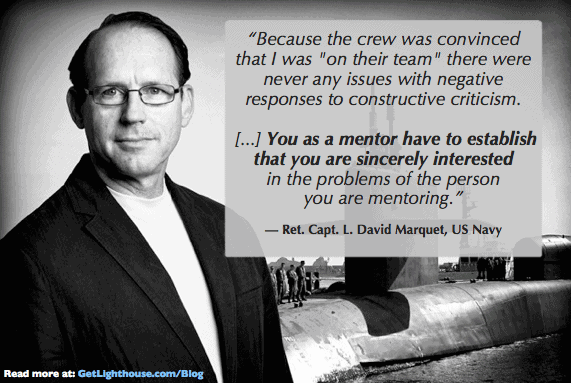 Whether your team is over 100 men on a nuclear sub, tech workers in an office, or any other environment, taking the time to build rapport will help you ensure your feedback is more effective. Reason #4: You’ll earn their loyalty. “Once they tell you they have another offer … they’re already out the door. A raise won’t do it, at least not for the good ones. While loyalty can be bought temporarily, the best way to retain your team over the long term is to invest in them. That’s why Dale Carnegie reminds us in his seminal book, How to Win Friends and Influence People, “the only way to influence people is to talk in terms of what the other person wants.” If you take the time to build rapport with them, you’ll develop stronger relationships which will help reveal how to continue to keep their loyalty. Reason #5: It’s cheaper and better than bonuses. So you’ve done enough to avoid having to buy your people’s loyalty, but you still need to reward your team from time to time for great work. The default for many companies is to give out bonuses. They’re easy to budget for, usually simple enough to issue, and who doesn’t love money, right? Now, there are many ways to better motivate people than bonuses as Pink’s framework of Autonomy, Mastery, and Purpose shows. At a high level, these are key areas to focus on. But what about when you want to reward someone in a specific instance? This is where the rapport you’ve built comes in. At a past job, I was a product manager. One of the biggest challenges in being a product person is that you have to influence people; you don’t have direct authority, so instead you have to earn their buy in. A key lesson I learned was that taking the time to build rapport with your team can help significantly in this area. One time, one of the engineers I worked with went above and beyond to help on a project and I wanted to thank him. Unfortunately, I had no budget, so any reward was coming out of my pocket. 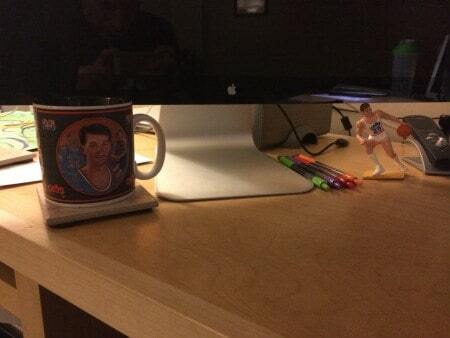 Because I had built rapport with him, I knew he was a mega-fan of a basketball player named Mark Price. 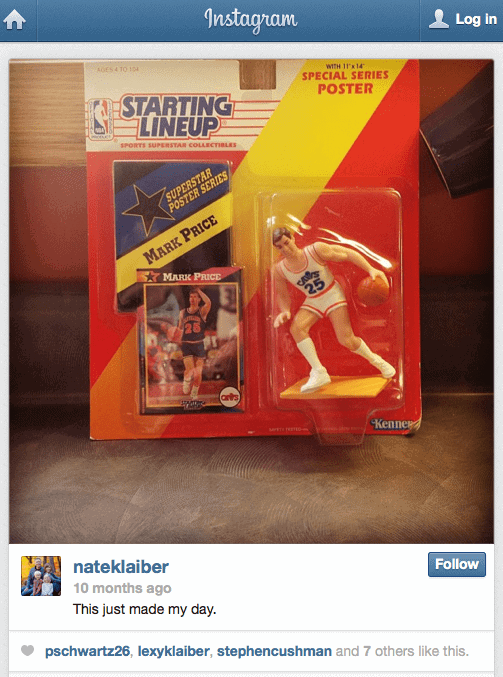 So, I went on Ebay and found a Mark Price figurine and bought it and sent it to him with a thank you note for him being awesome. Money is a cheap motivator. Thoughtfulness goes much further and costs so much less on your bottom line. All you have to do is take the time to get to know your people and then apply it when the time is right. Reason #6: It’s just good manners. Drucker raises an important point: Building rapport with your employees and colleagues does not mean you have to be best friends with everyone. It simply means you have to care enough about them as a person to recognize what’s important to them. Think back to the best and worst bosses you’ve ever had. The ones you had a great relationship with were the ones that showed they cared. The ones that distant, careless, Dilbert-like ones, probably kept their distance. Don’t be Dilbert’s pointy-haired boss. Reason #7: You’ll enjoy work more. Work doesn’t have to be a slog. It can be a fun, creative environment where you and those around you thrive and enjoy working together. As you get to know people you may be surprised what you have in common with them. You’ll also better understand what motivates your people and be able to apply that to how you manage them. All of this can make you a more effective leader and make life better for everyone on your team. Positive attitudes can help bring positive work results, so everyone wins. You have the power to make your work environment a much friendlier, collaborative place. All you have to do is take a little time to build rapport with the people around you. Giving them time out of your schedule every week or two creates a free space to have these kinds of conversations to get to know them and what drives them. Don’t waste them on status updates. If you’re new to one on ones, this post can help you get started with one on ones and you can learn more about one on ones here. 2) Ask good questions. Be curious. If around a holiday: What did you do for [Holiday]? How was it? How are your parents/grandparents? Where do they live? What did you do for fun in the past that you haven’t had as much time for lately? What drives you? What motivates you to come to work each day? If it’s important and you want to remember it, it’s worth writing down. A weak memory is no excuse to forget key things about your people. You build the best rapport when you build on past discussions; it demonstrates you were listening and cared about their past answers. If it’s important to them, don’t risk forgetting. Write it down. Looking for a better way to stay organized on what matters most to your team members? 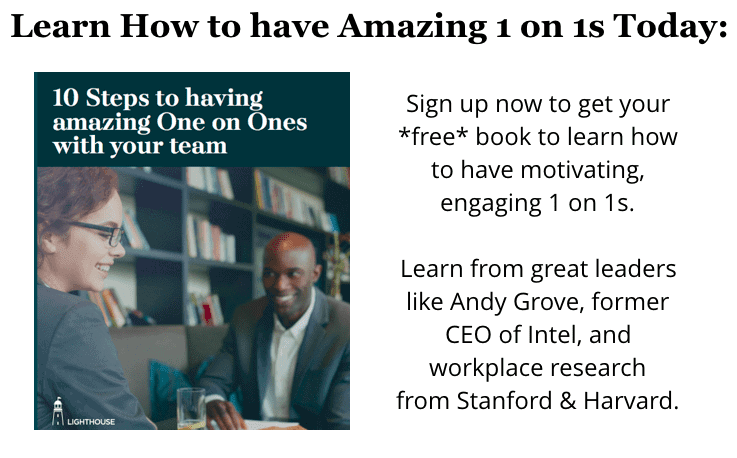 Looking for some helpful prompts to make the most of your one on ones? Then sign up for a free trial of Lighthouse. Built on best practices and management research, Lighthouse helps you motivate and retain your team.